MUST try, low carb, 1 minute, minimal ingredients, minimal carbs. Guys. Super moist/fluffy and you could totally use this a a savory bread alternative, too! 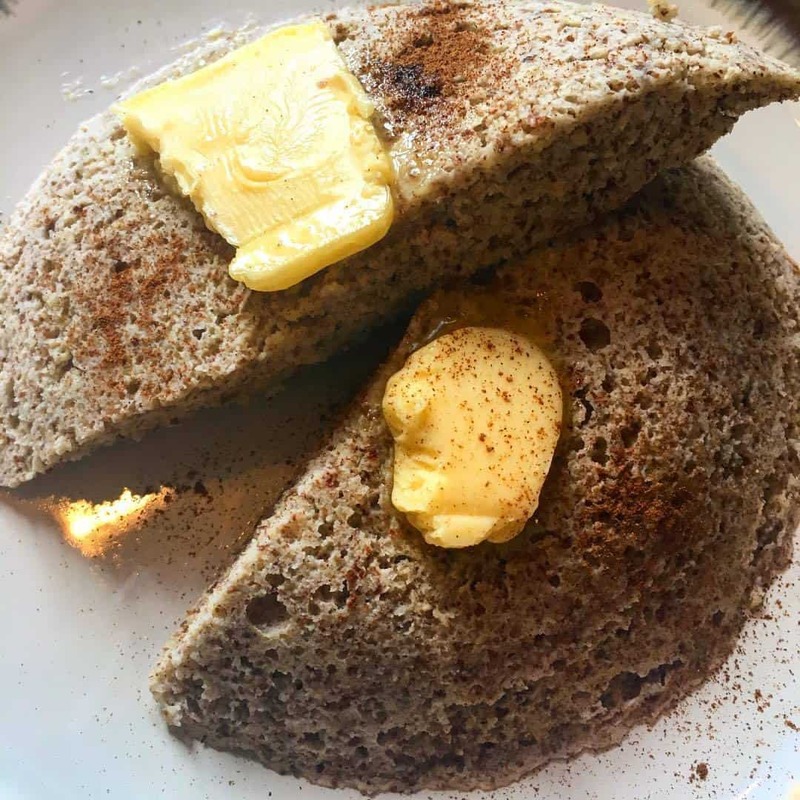 Top work grassfed butter, coconut oil, almond butter, coconut butter, or your favorite sugar free jam and enjoy! 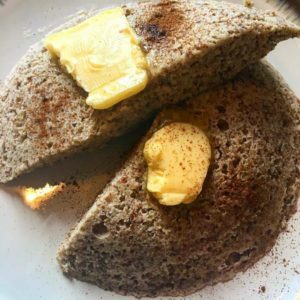 For a sweet version I recommend adding some lemon juice to the batter, for savory sub the stevia, lemon, and cinnamon for your favorite savory herbs and you could totally use this as a “bread” for your favorite sandwich ad ons! Let me know what you think! ‍ Share with your friends and tag me in your creation! xoxo K.Y.